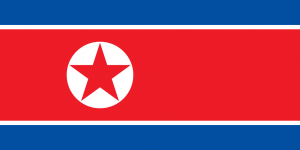 On Sunday, February 12, 2017, North Korea successfully test-fired a new type of intermediate-range ballistic missile, claiming it demonstrated another advance in its weapons program. US tensions are high with North Korea now, as they have made additional tests since February, including one yesterday. North Korea conducted February’s ballistic missile test near the country’s west coast. The Pukguksong-2, a missile capable of carrying a nuclear warhead, flew a distance of 500 km (310 miles) before landing in the Sea of Japan. This North Korea missile launch was significant because it was the first missile test to use solid fuel. Solid fuel missiles are more lethal as they have shorter launch preparation times, increased mobility, and are more difficult to detect than liquid fuel missiles. Solid fuel engines also boost the power of ballistic missiles, providing greater range. In the past 13 months alone, North Korea has conducted two nuclear tests and more than 20 missile tests. The day after February’s weapons test, the UN Security Council (UNSC) condemned the launch during an emergency session. This North Korea missile launch was in violation of numerous UNSC resolutions on North Korea’s weapons program. Specifically, North Korea is prohibited from carrying out ballistic missile launches under UNSC resolutions aimed at curbing the country’s development of nuclear weapons. In response, the North Koreans defended their nuclear and missile programs as necessary for national defense. February’s launch of the intermediate-range ballistic missile was one of the first foreign policy tests facing US President Donald Trump and is an ongoing issue. During the presidential campaign, Trump promised to get tough with North Korea and many observers are closely watching his reaction to the North Korea missile launch activity. However, the situation is delicate, and diplomats and national security officials are looking for ways to deter further North Korean weapons development. As many recognize, a North Korea with full nuclear ballistic missile capability would threaten American allies, regional stability, and potentially the continental United States itself. IMG GlobalSecur is a top employee travel security consulting firm. Corporate or business organizations concerned about their need for global security expertise can reach out to IMG GlobalSecur for assistance. The company’s expert security consultants provide services such as employee overseas medical assistance, smart phone travel monitoring and smart phone travel security, employee travel monitoring and more.